Apple has launched next generation of iPad models. Apple has launched iPad Air 2 successor of iPad Air. Apple has also launched iPad Mini Retina successor dubbed as iPad Mini 3. Apple iPad Air is now more thinner at just 6.1mm. It is world’s slimmest tablet. 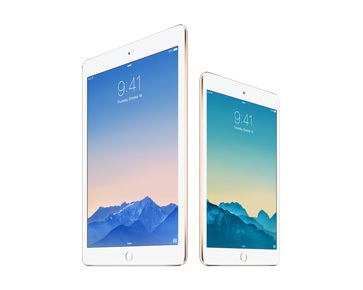 Apple iPad Air 2 comes with 9.7 inch screen fully laminated Retina HD screen with 2,048 x 1,536 Pixel resolution. It’s screen has Antireflective coating. It has pixel density of 264 ppi. 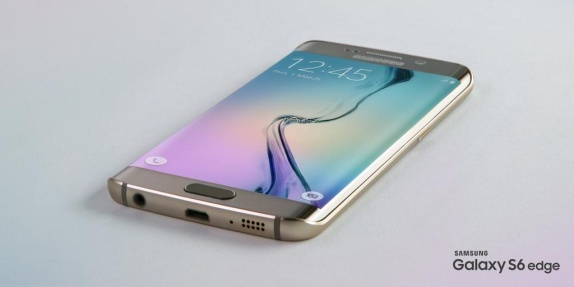 It runs on new 2nd Gen 64 bit A8x processor with new M8 co-processor. It has 1 GB RAM. Apple iPad Air 2 has improved 8 megapixel iSight rear camera with 1.5µ pixels, with a ƒ/2.4 aperture, true tone flash, and an all-new image sensor features. It comes with new 1.2 megapixel HD Facetime front camera with ƒ/2.2 aperture. Apple iPad Air 2 now comes in 128GB internal memory option too, along with 16 GB and 64 GB internal memory options. It comes in space grey, gold and silver colors. Apple iPad Air 2 connectivity options include 4G, LTE, Wi‑Fi (802.11a/​b/​g/​n/​ac); dual channel (2.4GHz and 5GHz); HT80 with MIMO. It now comes with TouchID fingerprint sensor. Apple iPad Air 2 is just 6.1 mm thick. iPad Air 2 provides 10 hours usage time. It runs on iOS 8.1 which has some improvements over iOS 8. 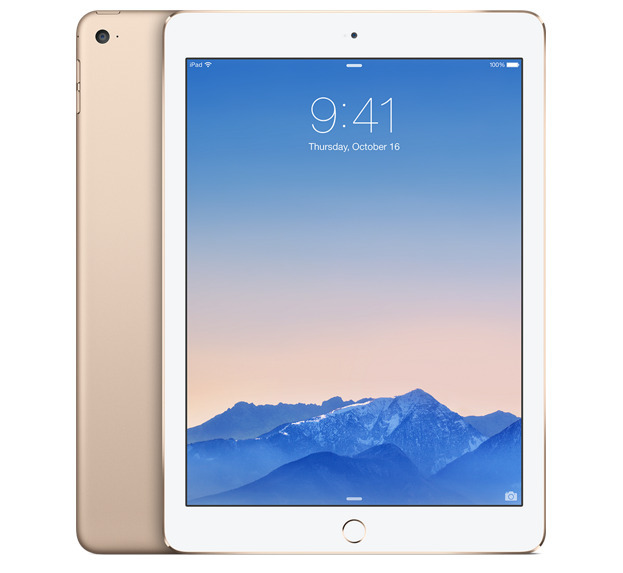 Apple iPad Air 2 is priced at $499 for 16 GB Wi-Fi model, $599 for 64 GB Wi-Fi model and $699 for 128 GB Wi-fi model. While the Wi-Fi + LTE model is $130 costly. Apple iPad Mini 3 comes with 7.9 inch screen fully laminated Retina HD screen with 2,048 x 1,536 Pixel resolution. 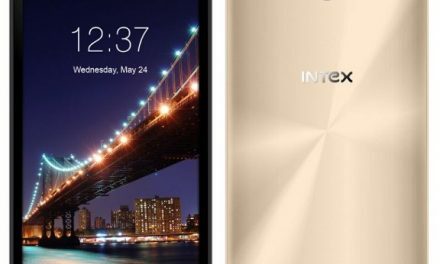 It’s screen has Fingerprint-resistant oleophobic coating. It has pixel density of 264 ppi. 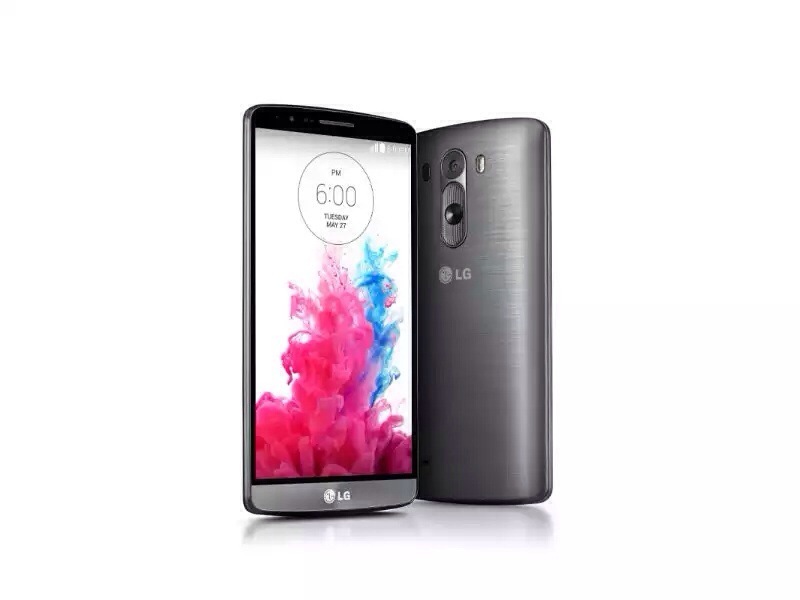 It runs on new 2nd Gen 64 bit A8x processor with new M8 co-processor. It has 1 GB RAM. Apple iPad Mini 3 has improved 5 megapixel iSight rear camera with 1.5µ pixels, with a ƒ/2.4 aperture, true tone flash, and an all-new image sensor features. It comes with new 1.2 megapixel HD Facetime front camera with ƒ/2.2 aperture. Apple iPad Mini 3 now comes in 128GB internal memory option too, along with 16 GB and 64 GB internal memory options. It comes in space grey, gold and silver colors. Apple iPad Mini 3 connectivity options include 4G, LTE, Wi‑Fi (802.11a/​b/​g/​n/​ac); dual channel (2.4GHz and 5GHz); HT80 with MIMO. It now comes with TouchID fingerprint sensor. Apple iPad Mini 3 is just 7.5 mm thick. iPad Air 2 provides 10 hours usage time. It runs on iOS 8.1 which has some improvements over iOS 8. Apple iPad Mini 3 price starts at $399 for 16 GB Wi-Fi model, $499 for 64 GB Wi-Fi model and $599 for 128 GB Wi-fi model. 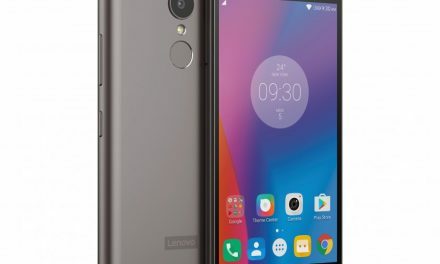 While the Wi-Fi + LTE model is $130 costly.